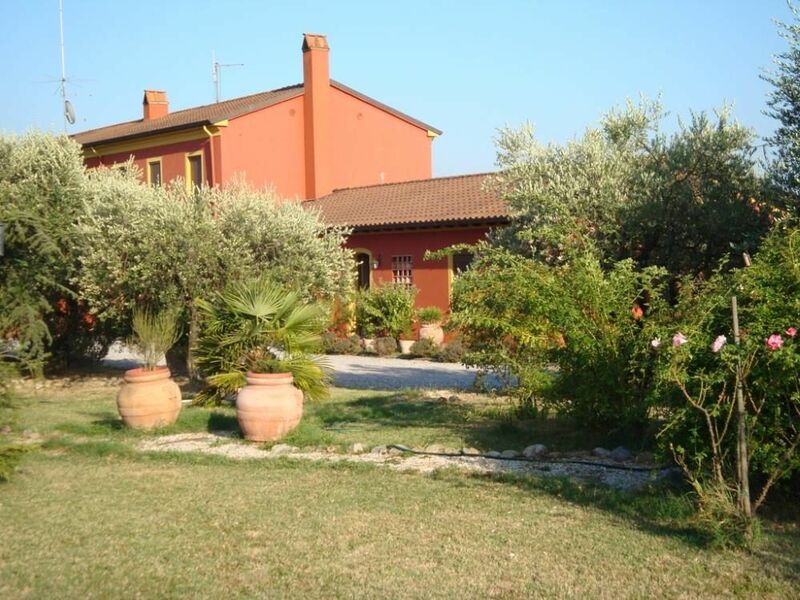 “Montecarlo Red Country house “ is a beautiful typical country house located in the countryside between Lucca and Montecatini, in the hill of Montecarlo and surrounded by olive grooves and vineyards. The surroundings are ideal for relax and bike rides. The house is surrounded by grounds (2700 sqm) , has a gazebo-ombrella with table, chairs, barbecue, wool for the barbecue is included and a paddle pool for children (on demand) . About our holiday home:Kitchen/dining room with table, sofa, arm-chair, TV with VHS, radio, dvd on demand, cooking corner with stove, oven, fridge/freezer, 1 bathroom with shower, wc/bidet, 1 double bedroom, 1 twin bedroom., 1 cot (on demand) , laundry machine ( on demand) . Great care in modern style . Parking space for 2-3 cars. The owner lives next-door; she has a quiet dog which during the day remains in the garden which is shared with the guests. Final cleaning: not included: euro 50.00 per week. "The owner made us feel most welcome and respected out privacy. The villa was finished and furnished with an ulmost unitalian degree of detail. We would recommend this location to everybody travelling as a couple or small family." In the countryside between Lucca and Montecatini, in the hill of Montecarlo and surrounded by olive grooves and vineyards.